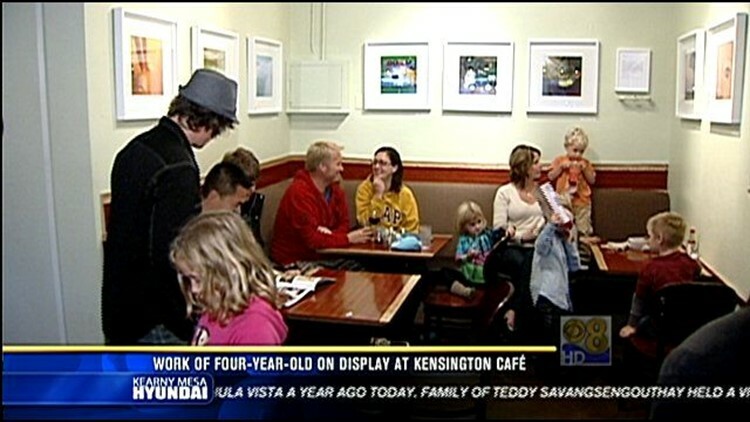 KENSINGTON (CBS 8) - A new exhibit is on display in Kensington, and the artist is four years old. Travis Reid took several of the photos on exhibit at the Kensington Café. It was all part of a show called "Young Man, Old Man" featuring Travis' work and the work of an older photographer. Some of his photos have already sold. That's good, because his mother says their son's hobby has come at a price. "It was pretty cool yeah he's broken about five of my cameras so he has a Fisher Price one now that he uses," mother Dawn Stanton said. The "Young Man, Old Man" photo exhibit will be on display through Nov. 18.